Splendour eye: Wow , Island that floats !! Man always thrive to do something new, and now he has reached a new mark by creating Floating Islands !! 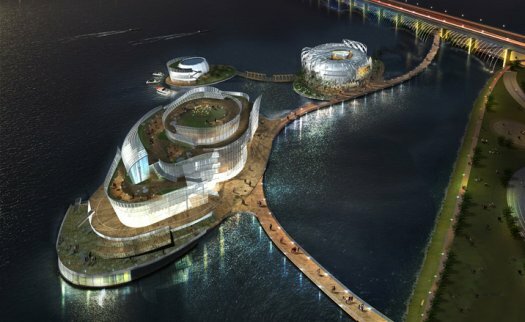 The World's largest artificial Floating Island was inaugurated on the Han River in Seoul, South Korea last week. The Floating Island, called Viva, is one among the three man made islets (other two are Vista & Tera) on the River. 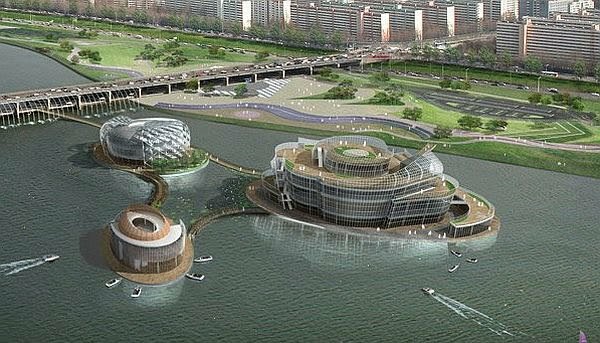 This island is the second largest of all three covering more than 3,000 square metres and features a convention hall having the capacity to hold 700 members, an array of lobbies, restaurants, video game cafe and many more attractions so that visitors can have the beautiful scenary of the Han River. 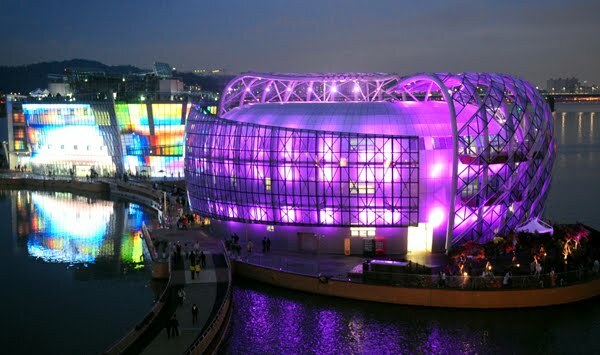 At night, the building exterior is lit up with colourful lights. These Islands floats on water and will be chained by strong weather proof chains to make it secure Another nice thing about this structure is, it is completely driven by solar energy ! What broad daylight isn't today?